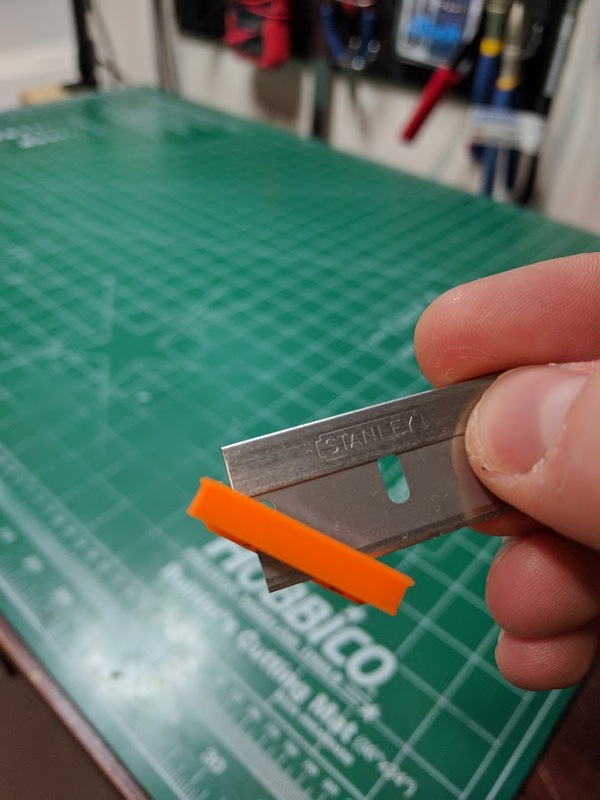 Frustrated at keeping a consistent depth, I decided to make a tool that would hold a razor blade at the perfect angle. Works very well, might make one for making edge bevels. I made this one. The slot is just wide enough friction fit at the right angle and depth. It's also got one side lower than the other offset by the depth of my ruler. I slide the higher side along the ruler with the blade against it, and the other side rests level on the foamboard. Yours seems less dangerous than mine though.